Grab your camping gear and dust off your flower garlands, festival season is just around the corner. 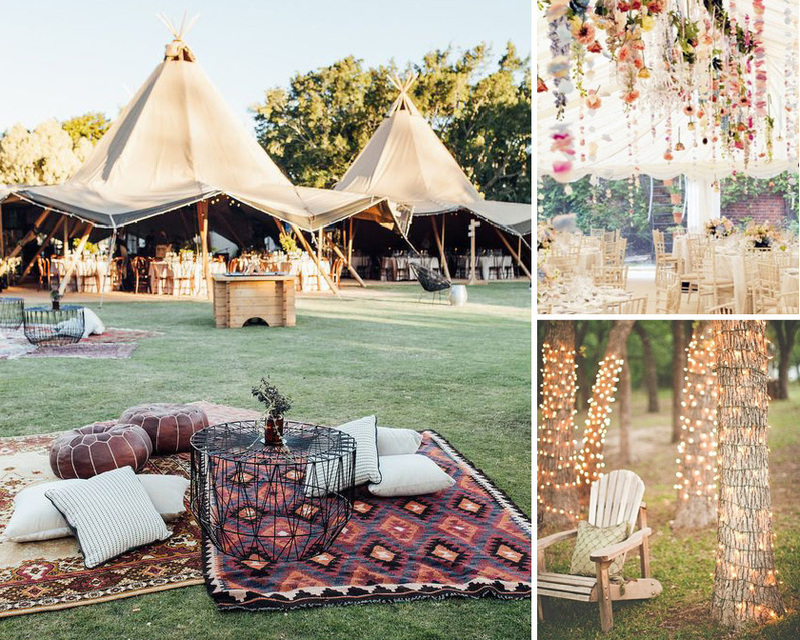 If you’re the type of couple that flock to Coachella or make a yearly pilgrimage to Burning Man, a festival-inspired wedding may be the perfect theme for you! Throwing tradition out the window, a festival wedding is all about celebrating in the great outdoors with live music, delicious food and boho chic décor. We’ve rounded up a few of our favourite ideas on how you can set the tone for your own relaxed and quirky festival wedding. For a festival inspired wedding theme, great music is a must-have. For a full-on Glastonbury style celebration, hiring a band to headline the evening is a great way to get people bustin’ out moves on the dance floor. Opt for a Mumford & Son’s style band complete with ukuleles for a folk style spin on all your favourite classic pop songs. For the majority of the celebration, blast a playlist of tunes to keep the atmosphere buzzing and add some rustic signage with a full line-up to guide guests to the main stage where your live band will play at the end of the evening. With the laidback and chill vibes of a festival wedding you can swap the traditional glass of champagne with a self-serve beer barrel and a pimp your prosecco bar. Drink stations are a great way to add to the outdoor ambiance and can be a fun way for guests to get creative with their cocktail making skills. 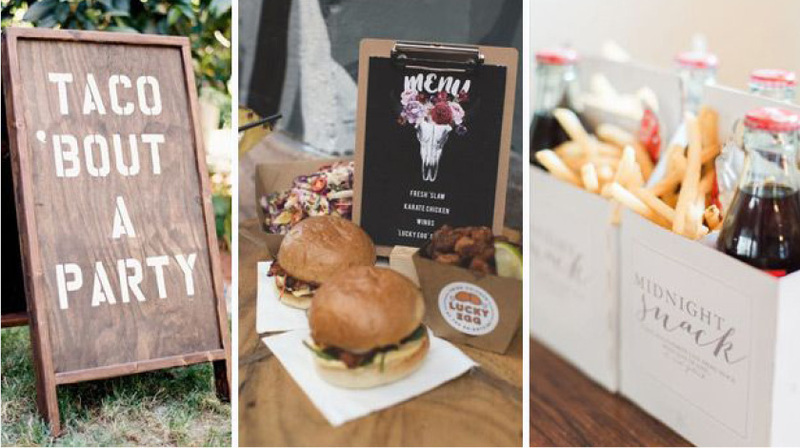 Self-serve style food is a popular option for festival inspired weddings with barbecue’s being the easiest and most low-cost option, however there are a number of other fun ideas to try out. Boutique food stations are popping up around the country with a variety of delicious cuisine such as stone baked pizzas to Mediterranean tapas.  They bring a quirky hipster element to the scene and mirror the foodie trends of most major music festivals around the UK. If you want something a bit messier then a buffet style grab and go table full of finger food is the way to go. Add some evening snack packs for midnight munchies and let guests party the night away! The worst kept secret to outdoor wedding décor is fairy lights. They are a necessity when it comes to creating that magical ambiance every couple hopes for. It can also be an enchanting touch to add tea candle jam jar lanterns – hang them from trees and scatter around them around tablescapes! Alongside this, ensure you section off a ‘chill out zone’ for those who wish to take a break from the dance floor. Setting up a marquee decorated with colourful drapery, floral bunting and assemble bohemian style cushions for guests to sink into. To complete the theme, create your own VIP all-access wristbands for the celebration. These simple yet sweet details are what will make your day memorable for guests. They also double as commemorative wedding favours! If you’re throwing a summertime event, offer colourful sunglasses which are both convenient and a fun prop to have in wedding photographs. Disposable flip flops are also a great addition so guests can change out of their formal footwear from the ceremony and into their ‘dancing shoes’! If you’re looking to throw your own festival wedding, get in touch with our expert wedding coordinators who can help you arrange your wedding at Woodhall Manor in the stunning Suffolk countryside.